A recent customer mentioned that he’s had a hard time finding a good, high-quality bottle which he could use to shake up fatCoffee – and particularly one which traveled well. Since this is pretty darn important (it’s one of the things that makes fatCoffee travel-ready), and because it’s really important not to use a cheap, loosely sealed water bottle, here are 5 options you can pick that should do the trick. First, a note of caution: if you are going to put a hot liquid into an enclosed space, and then shake that space up for 30-60 seconds, there are some things you can expect. First, you will create pressure inside that bottle. If the bottle isn’t sealed tightly, hot coffee/tea will sputter all over the place. Second, you need to open the bottle slowly. I can’t stress this enough. fatCoffee tastes much, much better when you are sipping it from a mug, rather than having it splattered all over your face. Anyway, here are 5 6 good bottles that will seal tight, open slowly, and keep your fatCoffee hot. This 16 oz double-walled bottle travels well, and has two caps: an inner cap that seals onto a threaded, stainless-steel neck, and a second outer lid that is double insulated and serves as a mug. For $25, you can’t do much better. It’s heavy, but it’ll keep your coffee or tea hot for 12 hours. I’ll load one of these up with 2 cups of coffee (about 14 oz,) and two packets of fatCoffee, and shake it up throughout the day when I’m at the office. AT 12oz, this is pretty much the perfect size to add a cup (8oz) of coffee, 1 packet of fatCoffee, and still have just the right amount of room to shake things up. Like the Kid’s Nalgene OTF Water Bottle, the loop cap and screw top keeps the hot coffee from squirting out when you shake it, PLUS this one is insulated. 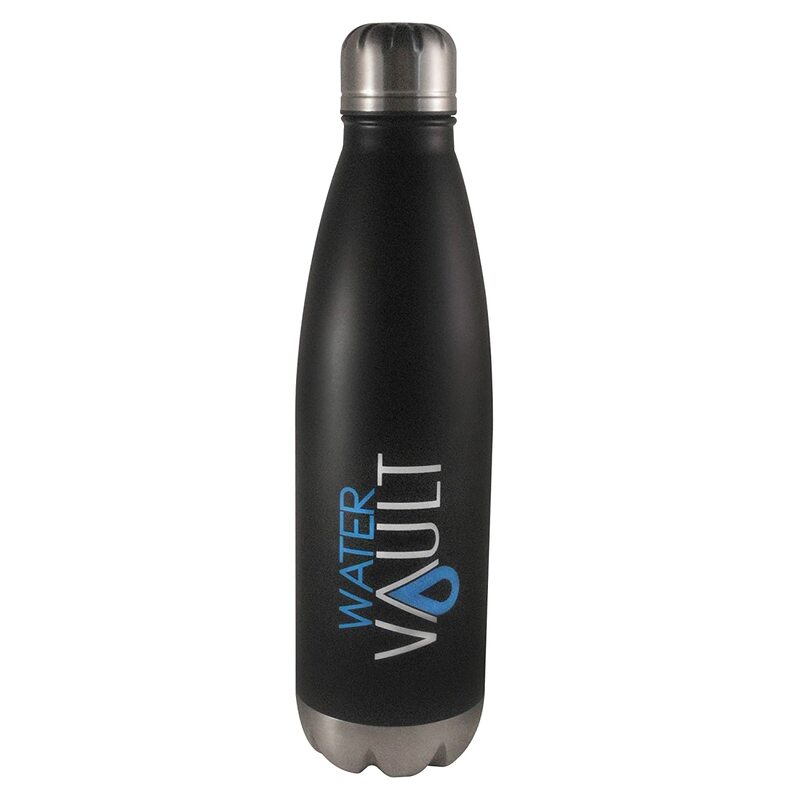 Though it isn’t insulated, this bottle has the advantage of a flip-top lid which can be locked closed with a metal clasp. This is one of our go-to water bottles when we make fatCoffee at home, but be warned that it doesn’t keep your coffee hot for very long. There is also a “kids” version which is just the right size for making a single cup of fatCoffee. This is, in fact, what you’ll see me using in the Shaker Method video. When you shake this up, and unclasp the metal lock, the lid will usually “pop” open. Satisfying, but do keep it pointed away from your face. The double-wall refers to the fact that there are two layers of steel, one inside the other, and a sealed-in pocket of air between them. This keeps the inside hot or cold, and the outside stays room-temperature. There is only a single, screw-on lid so you will need to make sure you seal it tight to keep the coffee from splattering. But the lid seals into and around the upper lip, so you should get a good seal. So there you have it! 5 high quality bottles you can use to shake up your fatCoffee. Before seeing this post, I bought the Hydro Flask with a flip top lid. It works very well. Makes a very tight seal and keeps the coffee hot for a long time. The oil does hang out around the top of the lid. But, it cleans very easily with some hot water and mild soap. I am very happy with it. By the way, I love the fatCoffee and wish you the best success! That’s awesome! I’m really glad you like fatCoffee and that it’s working well for you when you travel! You picked a great shaker bottle too!